The City of New York is closing a critical gap in the Bronx‘s longest greenway. 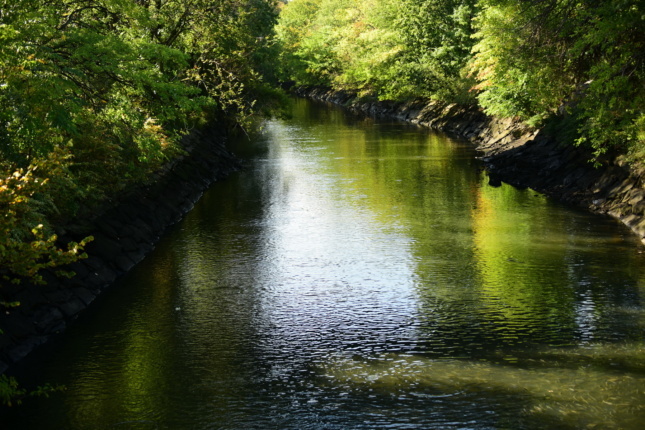 The multiphase initiative to extend the Bronx River Greenway, an eight-mile network of parks and trails that runs through the borough and into Westchester County, will target missing links in the park’s South Bronx section. 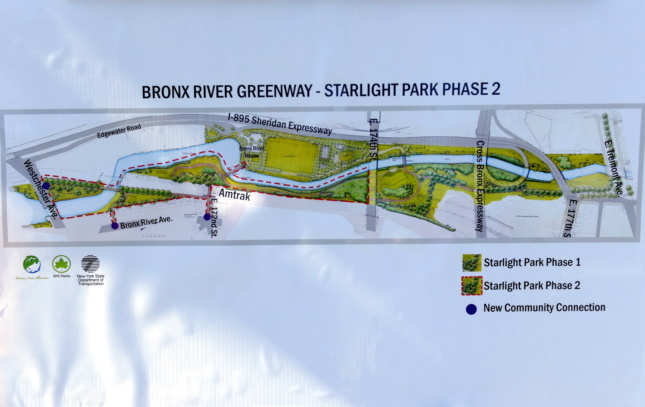 At a groundbreaking for the next phases of the greenway last week, city officials detailed plans to restore the Bronx River shoreline, lengthen Starlight Park, and close a large gap in the greenway. The project’s first phase will attempt to increase the Bronx’s resilience to storms and flooding by naturalizing shorelines now fortified with artificial barriers and restoring wetlands. Phase two will knit existing but unconnected park parcels together, and connect Starlight and Concrete Plant Park with walking paths and bridges: One bridge will cross Amtrak lines at East 172nd Street, and the other will sit over the Bronx River, a southern extension of Starlight Park to Westchester Avenue. The project is the result of partnerships between myriad local, state and federal agencies, including the Urban Waters Federal Partnership. Locally, the NYC Department of Design and Construction (DDC) is managing the project for the Parks Department, while New York–based NV5 (formerly the RBA Group) is the design consultant. The project has considerable financial backing. 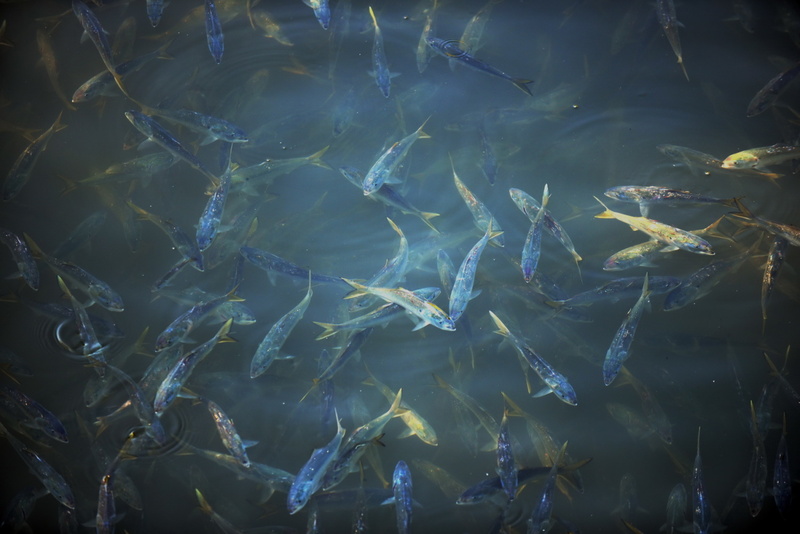 Mayor Bill de Blasio has put $12 million towards phase one, with an additional $4.4 million from the Hurricane Sandy Coastal Resiliency Competitive Grant Program, a federally funded program administered by the National Fish and Wildlife Foundation. In addition to several under-a-million contributions from local representatives, phase two will be funded by a $10 million TIGER grant from the U.S. Department of Transportation and congressman José E. Serrano’s $4 million allocation.